Is the Transcendental Argument Fair? 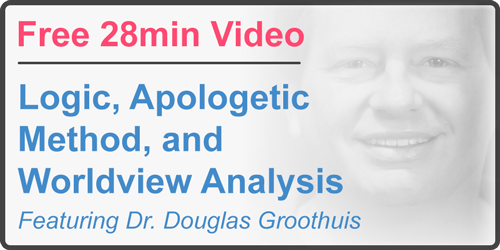 Home / Apologetics / Is the Transcendental Argument Fair? The resurrection of Christ points to His divinity and involvement in the world. p1. If God does not exist, then the laws of logic do not exist. p2. The laws of logic do exist. For a more thorough analysis of TAG, check out the breakdown at CARM. p1. If God does not exist, then objective moral standards do not exist. p2. Objective moral standards do exist. But many apologists who champion the Moral Argument dismiss TAG as “viciously circular.” Why? It’s because of an interesting consequence of the Transcendental Argument. TAG proposes that the laws of logic hinge upon the existence of God. Let’s think about what that would mean. If TAG is true, then whenever someone appeals to the laws of logic, they are also unwittingly assuming the existence of God. And we appeal to the laws of logic every time we argue for the existence (or non-existence) of God. This means you could say that, in a sense, we are assuming that God exists in order to use the laws of logic to prove that God exists. Naturally, that sounds a lot like a circular argument. The key phrase in Craig’s summary is “As commonly understood.” As it turns out, this “circularity” is merely a popular misconception of the Transcendental Argument. p2. If God exists, then the laws of logic exist. c1. Therefore, the laws of logic exist. p3. If God does not exist, then the laws of logic do not exist. p4. (from c1, above) The laws of logic do exist. It’s easy to see how this is circular. You go from the premise “God exists” to the conclusion “God exists.” But if you look back up the page, you’ll see that TAG actually doesn’t use the first half of the circle. That’s because we already know that the laws of logic exist. They’re a “properly basic belief.” We don’t need to prove the laws of logic exist in order to use them. Now, a complete worldview will have a rationale for properly basic beliefs like the laws of logic. That’s what the “first half of the circle” gives you: an explanation for why the laws of logic exist. Since we know that the laws of logic exist, we now know that God exists. And now that we know that God exists, we can explain why the laws of logic exist. 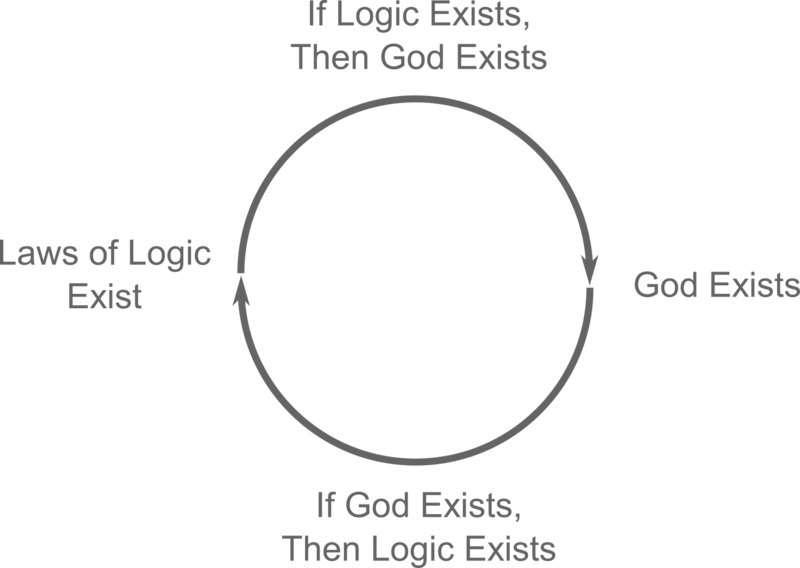 But because the laws of logic are a properly basic belief, the circle is broken. The Transcendental Argument is merely semi-circular: It remains logically valid. Atheism has always been weak on morality. It’s really hard to find a secular basis for ethical commands like “Don’t murder.” That’s one of the reasons the moral argument is so effective: We know that right and wrong exist, and it’s hard to reconcile that with atheism. But atheism has also always prided itself on its rationality. Reason was the goddess of the secular French Revolution. Contemporary atheists like Richard Dawkins pit “rationality” against the “irrationality” of religion. TAG hits atheism right where it seems to be the strongest. Of course, that’s not a rationale. That’s a Rudyard Kipling “just so” story. But being confronted with the truth that atheism can’t account for the laws of logic is a jarring experience. It’s like looking down and realizing there’s nothing below you but empty air. It’s the kind of moment where God convicts a soul. TAG sometimes gets a bad rap because it’s been misunderstood in the past. But it’s a valuable tool for every Christian. You never know when it’ll be exactly the argument someone needs to hear. Wow! It took me a long time to find this post, but I’m glad I have. Thanks for the link to CARN also. But having found this, I think maybe I am getting a taste of what they are on to. Hi Glenn… thanks for the feedback 🙂 Transcendental arguments aren’t something that you see much in Christian apologetics. I think that’s a shame though as it is very powerful. What do you think? Hello I first was completely amazed by the TAG but I have meet some problem with this argument. – But when we say p1 (that “if God does not exist, then the laws of logic, do not exist”) we are already using this “laws of logic”, and so we are also presupposing c “the existence of God” (God exists) in order to use these laws of logic. God is already presupposed in p1 even before we achieved the argument. If God doesn’t exist this phrase p1 “If God does not exist, then the laws of logic do not exist.” doesn’t have any meaning. How do you adress this issue ? The goal of TAG is not to prove the existence of God with the laws of logic. The goal of TAG is to find the necessary presuppositions that account laws of logic . One basic assumption is that which is necessary to account for a persons world view must be held to be necessarily true. To use logic as a means to find truth assumes that logic has an objective purpose (to find truth) and is not an arbitrary product of the human imagination. If it is an arbitrary byproduct of the human imagination then it is incapable of having an objective (real) purpose, and therefore objective science as we know it of any kind is lost. An objective view of logic necessitates an eternal mind because logical laws and principles are conceptual by nature and therefore must exist in a mind. This eternal mind is the mind of God found in the historic Christian creeds of the church. In this view objective science is possible because logic is imposed on creation rather then the created mind imposing its imagination on the world. Also, to use logic as a means to find truth assumes that logic has an ontological nature (conceptual) and an accompanying objective purpose…to know and find objective truth.